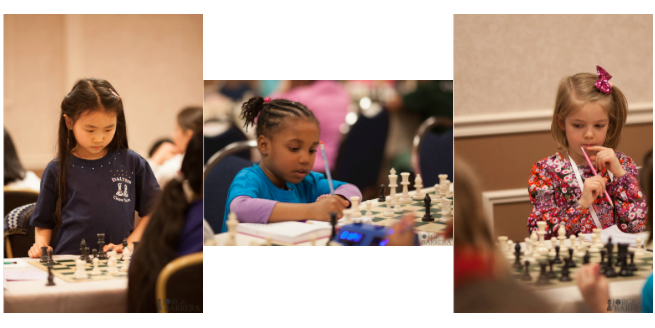 We believe that chess symbolizes intellectual achievement in a male-dominated arena. Part of our mission is to level the playing field in terms of women’s self image, self-esteem and intellectual development. The National All Girls Tournament helps deliver on that mission. This is why we have chosen to support the All Girls for the third year in a row. In addition to awarding belt bags to the top three finishers, we have once again partnered with Renaissance Knights Chess Foundation (the organization that runs this tournament) to sponsor a team of girls that might not otherwise be able to play due to financial restraints. This year we are sponsoring a team of 5th and 6th grade girls from Kinzie Elementary, a public school in the city of Chicago. The school’s regular chess team consists of both girls and boys, and won Second Place in the South Side Regional Tournament earlier this year. However, what we love most is that over half the entire team is girls (more than any other team at that grade level in the entire city! Go Kinzie!!! Join us in wishing this awesome team of girls the best of luck this weekend and stay tuned for updates as the tournament begins!